We’ve already heard of honey bee swarms occurring this year and this week’s warm temperatures will give any colony that’s been thinking of swarming a chance to flourish. While most of us beekeepers find swarms beautiful, exciting and fun to experience (as long as they aren’t leaving our own hive, right? ), some non-beekeeping folks may not be as enthused. Thousands of bees flying about can be intimidating, and if they take up residence within a cavity of someone’s house it could result in tragedy for the bees. Let’s do our part to keep bees safe. In order to protect bees from being harmed – PSBA publishes a Swarm List each year containing a list of beekeepers willing to collect swarms (and some of them even remove bumblebees or other stinging insects!) We need everyone’s help to get the word out that beekeepers are ready to come collect our fuzzy flying friends and give them a nice hive to settle into. Please print PSBA’s 2015 swarm list and keep it handy – stick one on your fridge. Heck, give to your neighbors too and educate them on what swarming behavior looks like. 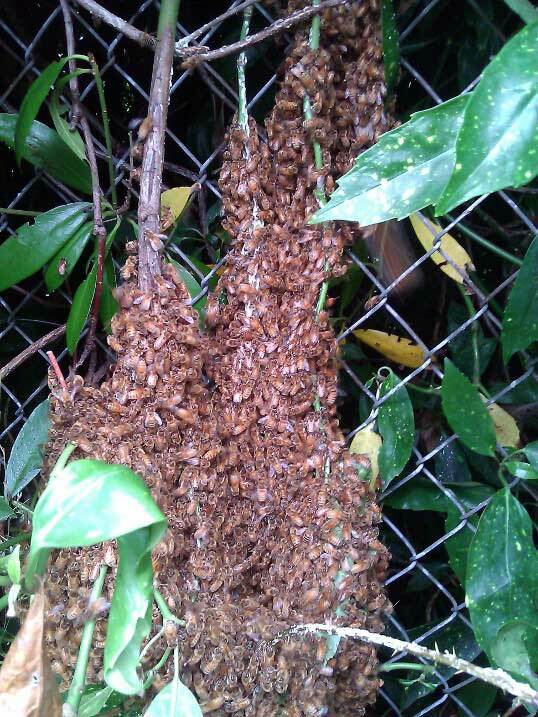 It may be your bees that swarm one day when you aren’t around and wouldn’t you want them to find a good home? Or, you may need help from one of our swarm catchers if you have never caught a swarm before. Do it now or you won’t get around to it and you’ll be hunting for a phone number amidst a flurry of bees. If you are a beekeeper please be sure to read our handout on swarm management so you can proactively identify the signs and triggers of swarming and how to manage through this event (and hopefully keep your bees). If you are located South of our area you can contact Olympia Beekeepers Association and Elma Bees.